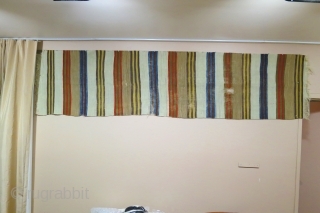 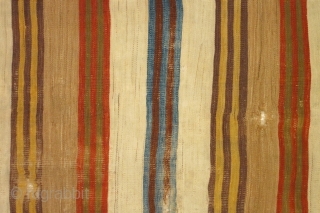 Anatolian striped kilim, 10 feet two inches x 30 inches (310 x 70cm), circa 1800-1850. 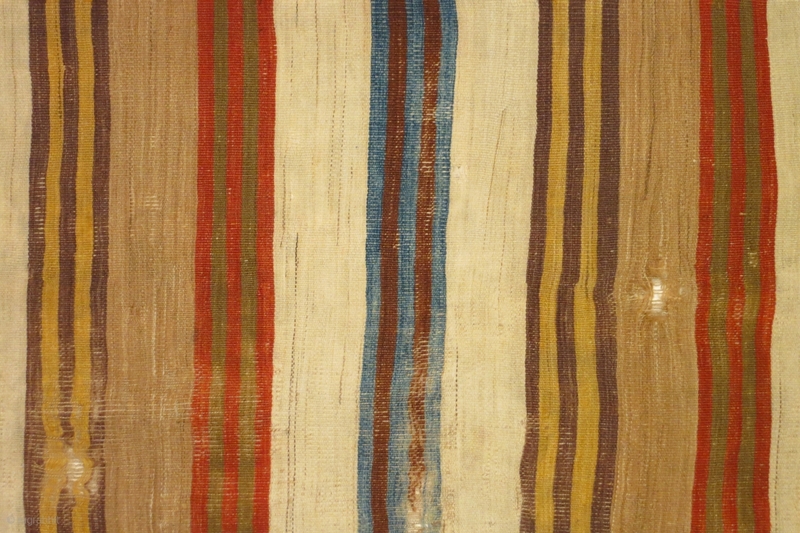 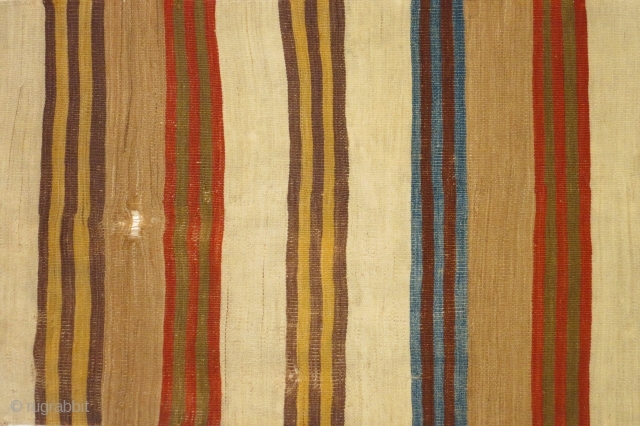 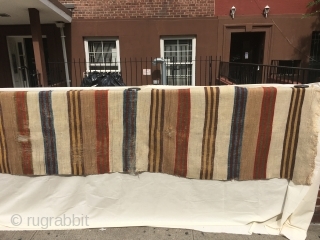 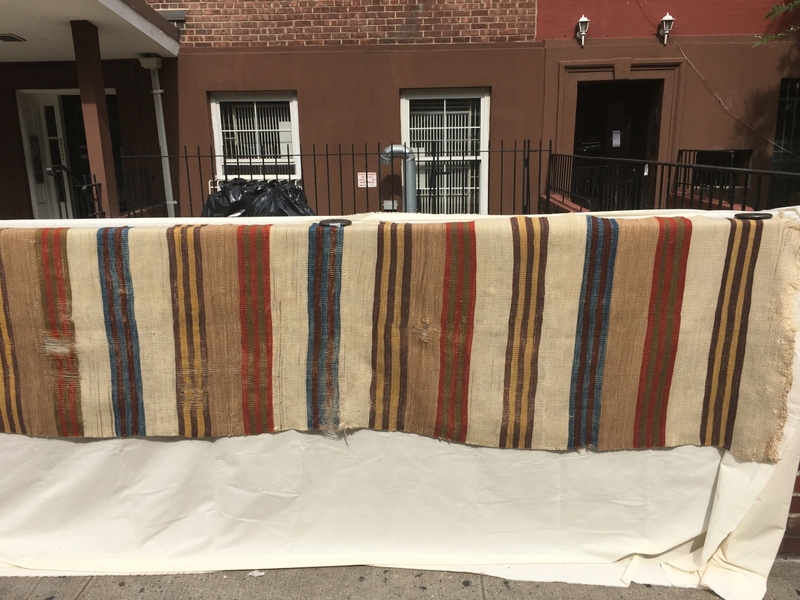 There is no differential wear between the two long sides of this kilim, suggesting that it is not half of a two piece kilim. 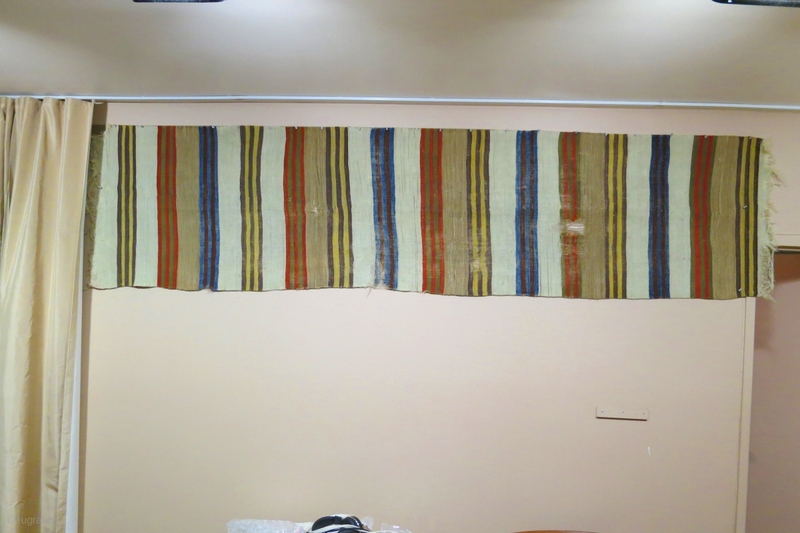 Long narrow format kilims like this were sometimes woven to cover storage bags or bedding.